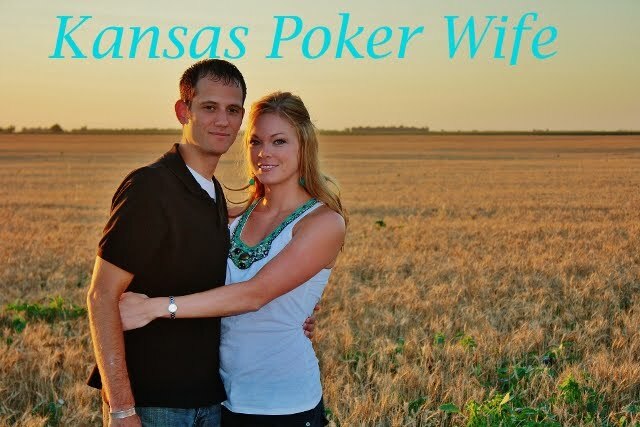 Kansas Poker Wife: 7 Highly Healthy Habits! I grew up in small, farming community in Kansas. My family owns a farm, and we raise corn, wheat, soybeans, milo, and cattle. Growing up, like most kids, I ate easy-to-prepare, prepackage foods, like Hamburger Helper, frozen pizzas, and macaroni and cheese. The meals that were prepared for me, such as fried chicken, mashed potatoes, and white gravy, were high in saturated fat and cholesterol. I exercised all through high school, so I maintained a normal weight, and convinced myself this type of eating was healthy. It wasn't until my senior year of high school I decided I wanted to study nutrition and dietetics. I went to college and quickly learned how discouraging the nutrition field can be. The work I did wasn't helping the patients live longer, healthier lives, it was about maximizing profits for the large hospitals and nursing homes, feeding patients the cheapest way possible, and contributing to the "research" for some of the most profitable (food) businesses in the US. The "research" was aggravating and confusing. Don't eat eggs. Eat eggs. Red meat is good for you. Red meat is bad for you. Soy is an excellent protein source. Soy causes cancer. I have learned to do my own research and listen to my body. I still have cheat days, but these are some of my healthy habits. Some, are even passed on from my grandma. Coming from a farming and cattle raisin' family, this is a touchy subject with my Dad. 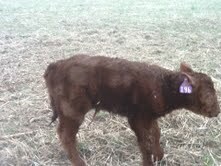 My Dad is one of the few farmers who raises all of his cattle antibiotic and hormone free. He rotates his cattle on grass pastures, and does all he can to provide healthy beef and happy cows. I love going home and seeing the calves following their mamas on the pastures. I bounce between being a vegetarian and eating meat once or twice a week. I truly believe the amount of meat consumed directly affects global warming and our growing obesity epidemic. I struggle with not wanting to eat breakfast, but as your grandma (mine did) told you, breakfast is the most important meal of the day. Your body has been fasting for 8 hours while you were sleeping. 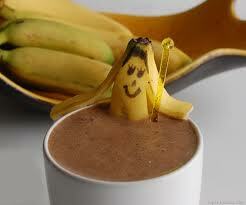 Eating breakfast breaks the fast, and allows your body to begin to use those calories you just consumed. This gives you energy to make it through the day and prevents you from the 10 am vending machine runs. When choosing a breakfast, aim for fresh fruits, whole grains, and some protein. Avoid the Veinte Latte from Starbucks and choose instead, to make your own version of a Frappe. I am not telling you to go out and run a 10k tomorrow, but getting 30 minutes of physical activity every day can help you control your weight, reduce your risk for heart disease and lower your cholesterol, and improve your mood. When I was younger, my grandma would get up every morning and ride her stationary bike or walk the country roads to check on the cattle. Our stationary lifestyles are another HUGE cause of the heart disease and obesity epidemics. Something as simple as growing herbs in a window box can give your foods flavor, without adding oils, salts, or sauces. Jade and I grew our first garden last year, and it is one of the things I miss the most about life in Kansas. Working in the garden gave us a purpose, made us appreciate where our food comes from and what it takes to grow it, and provided Jade and me the opportunity to work together as a team. Starting a garden is an excellent way to ensure you eat fresh, whole foods. Raw fruits, vegetables, and herbs, in a variety of colors, can provide you with essential vitamins and minerals, antioxidant properties, and open your eyes (and mouth) to new flavor and food combinations. My Dad always told me, "If you can read, you can cook." If you are reading this, you really have no excuse as to why you aren't in the kitchen. Cooking allows you to control what goes into your foods. The tasty cheese raviolis at the neighborhood restaurant are probably delicious, but do you know how much oil or salt the chef used when preparing them? Cooking can bring your family together in new ways. Jade has surprised me on many occasions by preparing his specialties. It is a great way to share the household duties and spoil your partner. If you have kids, it's never too young to get them in the kitchen. You can even buy a little helper cooking set, such as this one for your little one. Drastically altering your eating and exercise habits overnight can send your body into shock, and you could lose weight, but most often than not, drastic changes can lead to feelings of deprivation and bingeing. Try making small changes each day towards a complete lifestyle change. Share these healthy habits with friends and family and send me a message on how you have made the changes towards a better life.